Solitaire Mahjong: Although you’re playing on your own board, you’re actually battling with real people! Don’t let the name fool you. Indeed you’re focused on your own playing area, but your score is getting put up against players around the world. If you get a rush from competitive gambling, then this game is for you! Gameplay: This is Shanghai Mahjong which means you’re playing Snap with Mahjong pieces. 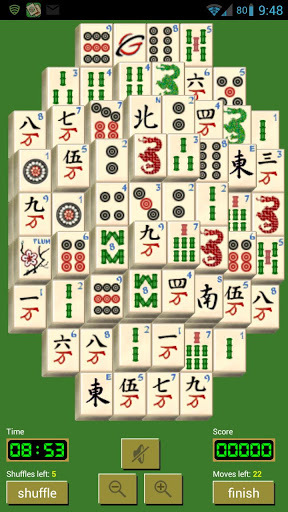 In case there’s still any misunderstanding here – you’re not playing the centuries old proper Mahjong game. In Solitaire Mahjong, you’re playing a type of Snap Mahjong with a strict time limit, and your score is pitted up against another player somewhere around the globe. It’s not exactly Snap because you can only select a piece if there is one full free space either to the left or right of it. Also, you can only select a piece if you can see the full tile from up top. Gambling Mayhem: We’ll be really upfront about this game… it really is for gamblers, or people who want to put their skills to good use. The reason why we say this is because you have to put money down to play a game. New players don’t run away yet! You’ll get 10 free credits and if you play your tiles right then you’ll be able to play forever without spending any money. Consider this: as you get older and you have less time to mess about, very often you’ll play a computer game and afterwards you’ll wonder why you wasted your time playing it. This game changes all of that. It takes a time old classic game and adds purpose to it by letting people gamble. We’re not talking about Slot Machines stylisation with synthetic gold coins… we mean real money gambling which can earn you in-game rewards and potentially real life cash too. Insane sign up: Again we’ll tell you before you even start – this is a GameColony product, which means the signup is insanely long and you just feel wrong entering your details. Having said this, don’t forget that there is real cash being exchanged and you have the potential of winning more. So with this in mind, it does actually make sense to have a signup form which is more than just a username. What’s the real lowdown here? Admittedly, there are some things which could improve. Most notably the touch to drag is too sensitive and the tile tap selection is just outright shoddy. But then a lot of other Shanghai games out there are worse. Rating: 3.5/5 A must have for gamblers who want to try their hand at games other than poker. For the average player, putting down real monetary stakes is odd at first, but this makes the game objective clear for everyone. 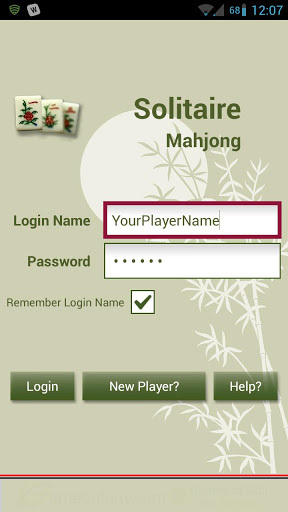 The name Solitaire Mahjong is very generic, so use our links at the top and bottom of the page to goto the link directly. If you want to boost your skills offline, then do a search for Solitaire Mahjong and you’ll find plenty of free Snap Mahjong games. Hungry Cat Mahjong is a particularly good Shanghai game which you could use for training. As a first time player you will get 10 bonus tickets which you can use as entry fees. Don’t use an existing login otherwise you’ll have nothing – so just go and create a new account. Although you have to be online to play the game, your opponent can start and finish their games at slightly different times. There’s a game matching algorithm which will make players of a similar skill level compete.